pH is the most important factor controlling your pool water balance. It refers to the measure of the relative acid or base of the pool water and should be tested daily. pH values above 7.8 will lead to cloudy water, staining, scale deposits, filtration problems and reduces chlorine efficiency. pH values below 7.2 may lead to corrosion of metallic pipes, etched plaster, rapid loss of chlorine residual and possible irritation to swimmers. To maintain an ideal pH level in your pool water, use GLB pH Up when the pH drops below 7 .2. When the pH level rises above 7.8, use GLB pH Down. 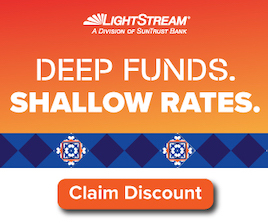 Total alkalinity is the measure of your pool water’s ability to resist change in pH. Alkalinity does not have to be tested on a daily basis. This is a measure of the buffering capacity or the ability of pool water to resist a change in pH. When the total alkalinity is above 120 ppm (parts per million), the pH will tend to slowly creep up and resist efforts to change. When the total alkalinity is below 80 ppm, the pH is likely to “bounce” from one extreme to the other and it will be difficult to keep the pH in the proper range. When the total alkalinity of your pool drops below 80 ppm use GLB Alkalinity Increaser. If the total alkalinity rises above 120 ppm add GLB pH Down. Calcium Hardness is the amount of dissolved calcium in your pool water. 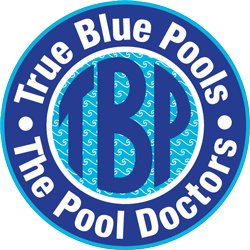 True Blue Pools should test your pool water for calcium hardness at the beginning of each season. Calcium hardness above 400 ppm can cause calcium to precipitate from the water causing cloudy conditions and scale deposits. Calcium hardness below 140 ppm may lead to corrosion. If the calcium hardness level in your pool rises above 400 ppm, the use of Natural Chemistry Scale Free will prevent cloudy water and hard water scale. A low calcium hardness level can be corrected by adding GLB Calcium Hardness Up. Iron, copper, silver and manganese are metals which commonly cause colored water or stains in pools. If you are fortunate enough to have”ldeal”fill water, and a properly constructed and maintained pool these would not be a problem. Since ideal conditions rarely exist, we recommend the regular use of a good metal removal agent like Natural Chemistry Metal Free to continually protect the pool against stain producing metals. Disinfection is an essential element of any pool water treatment program. GLB chlorinated products are designed to disinfect your pool water by releasing “free chlorine” into the pool water to control germs and microorganisms, algae and organic matter. The best method for maintaining a proper chlorine level in pools is by using one of the GLB stabilized chlorine products. These products contain additional stabilizer to continuously replenish any which is lost from backwashing and splash out. They also contain a much higher percentage of available chlorine than liquid chlorine products and do not alter the hardness level. Because water conditions change rapidly, it is very important to test the water every day for chlorine residual. The free available chlorine reading should be 2 – 4 ppm. You should also test pH at the same time. Protect your chlorine from sunlight. At the start of each season, test your pool for stabilizer content, and if necessary add GLB Stabilizer following label directions. Sunlight will rapidly destroy chlorine residual in outdoor pools unless the pool water is •stabilized~ UV Block, technically known as Cyanuric Acid, will shield your chlorine from rapid destruction by sunlight.